The Three Macronutrients - U-RAAW! Everything you eat is comprised of the three macronutrients. The three macronutrients are protein, carbohydrates, and fat. The distribution of your daily caloric intake between these three macronutrients can greatly affect your energy levels. All three provide energy, however they do have their differences. Carbohydrates are broken down by the body and metabolized more quickly, whereas proteins and fats help to keep you fuller for longer. We need these three nutrients to provide energy, sustain growth, and for other bodily functions. We also need micronutrients, like vitamins and minerals, just in smaller quantities. Let’s take a closer look at the differences between carbohydrates, proteins and fats. Carbs are the body’s main source of fuel! They are broken down into glucose from longer chains of simple sugars. Complex carbohydrates like starch and cellulose take longer for the body to digest, and can be found in foods like whole grains and vegetables. Fiber, a complex carbohydrate, is one great benefit of eating carbs! Protein, broken down into amino acids, is the main component of our bodily tissues and fluids. Proteins provide 4 calories per gram, as do carbs. There are 9 essential amino acids. This means that they are amino acids our bodies cannot synthesize themselves. Complete proteins, found in animal foods like meat and dairy, have all 9 essential amino acids. Incomplete proteins (from plant sources) don’t contain all 9 essential amino acids. The good news is that you can eat all 9 essential amino acids simply by pairing certain plant foods together! Fat is vital for many reasons. Fat helps build body tissues and cells, and also aids in nutrient absorption. It is important to make sure you are eating enough of the essential fatty acids. These – like the essential amino acids – must come from your diet. Most people unfortunately do not eat enough health fats, like omega-3s. You can increase your intake of healthy fat by eating more foods like avocados, fish, and nuts and seeds. Fats also differ from carbs and protein because they are more energy dense, containing 9 calories per gram. How much of each should you eat? Eating snacks and meals that contain carbohydrates, protein, and healthy fats will help your body function in the best way it can on a daily basis. The acceptable macronutrient distribution ranges (AMDRs) suggest that your calories should come from 45-65% carbs, 10-35% proteins, and 20-35% from fats. But these are general guidelines to stick to, not rules to follow religiously. The truth is that everyone’s individual body will function best eating a different composition of the three macronutrients. This is why a diet you may have heard of that involves “counting macros” is not optimal for most people. Instead, just pay attention to eating whole, real foods. All you have to remember is to incorporate foods containing a variety of carbs, protein and fats! 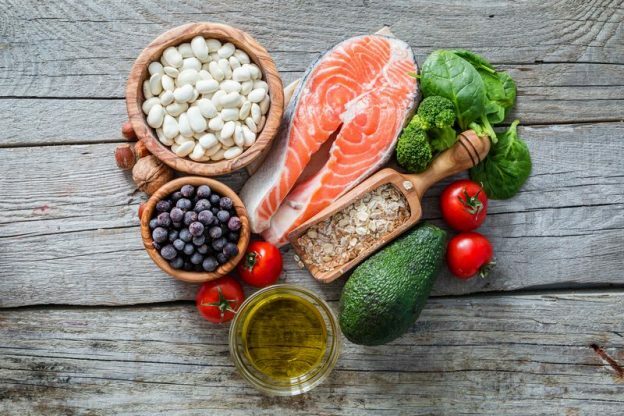 This entry was posted in Diet & Nutrition and tagged carbohydrates, carbs, fats, healthy fats, macronutrients, macros, omega-3, proteins on April 14, 2019 by Megan Van Dyke. Anyway I will be subscribing for your augment or even I fulfillment you get right of entry to consistently fast.